i was on discount tire's website just looking at prices. 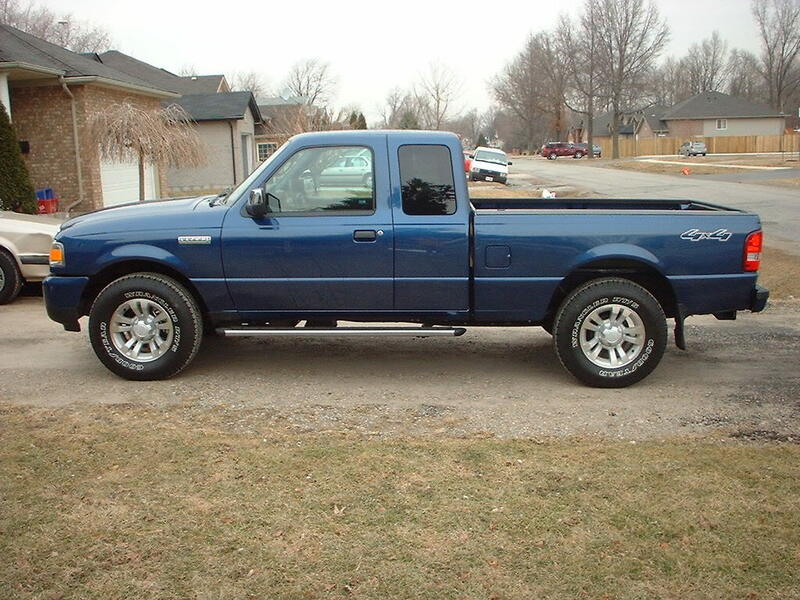 the site says, that my truck wil fit a 31x10.5 bfg km2. the backspacing was zero i belive ( i forget and closed the window) they had them for $169 each and the bfg ats for $149 each. anyways, is this rim zero, plus or minus? i kno i need new pics, i've got a couple from when i parked on a snowbank at the mall. but i haven't really taken many pics of my truck. i was looking at both the at and the km2 and this would be when these tires need replacing. Most stock wheels have a 4in backspacing I think. 0 backspacing would be unearthly. 0" backspacing would be quite interesting. I think most stock Ranger wheels have 4.5" of backspacing. I'm guessing they're talking about offset which is different. With your truck crank the bars a little, replace the lift blocks in the rear with 98-07 ones then slap on those 31's on your stock rims. Being an 08 you automatically sit lower than previous years so it might run without the previously mentioned modifications. Last edited by 0RangerEdge2; 01-18-2009 at 10:48 PM. Not to hijack, but does this include Alcoas? I was a half a inch off, oh well, now I know. Quick Reply: are my factory rims zero, plus or minus?